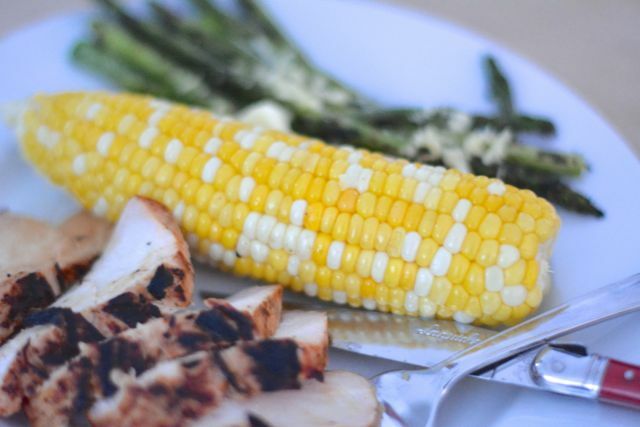 Corn on the cob is one of our favorite summer vegetables, and grilling it is really easy. 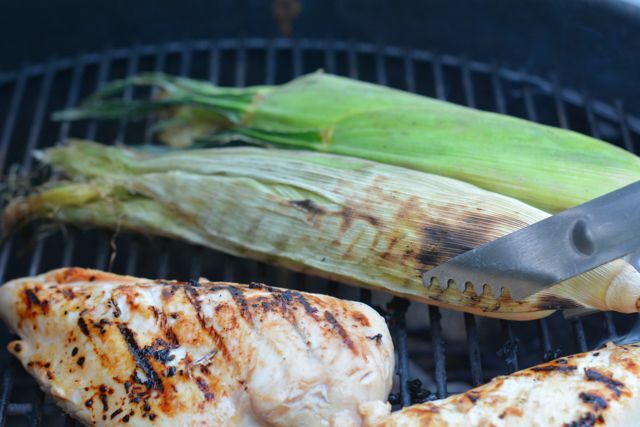 Today I am going to walk you through the very simple method we use for grilling corn at home. We use this method because it doesn’t leave any char marks on the corn, which my kids do not like. Instead, it cooks it through completely and without any charred bits or taste. 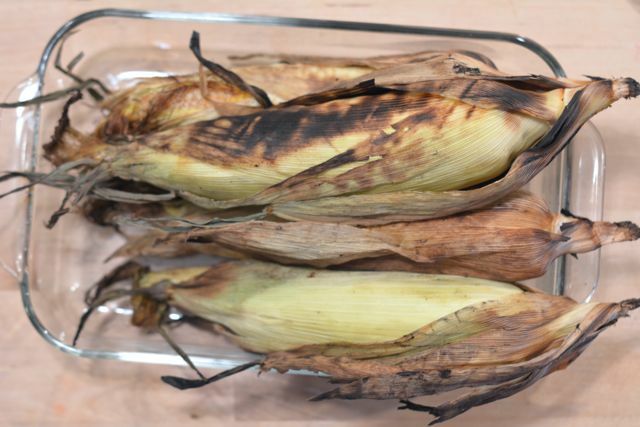 Keep reading to learn how to grill corn on the cob – in it’s own husk! Step 1: When grilling corn in its husk, soak the corn in a tub of water for about one hour. This makes the husk nice and wet. This is important because a dry husk would go up in flames on the grill. Also, the moisture steams the corn, which is how it cooks on the coals. Step 2: Place the wet corn on the grill grate away from direct heat. Rotate it once every two minutes, using a pair of tongs. The outside of the husk will brown, but it won't catch on fire. Step 3: Once the corn has been cooked for two minutes on each side, remove it from the grill and place it on a plate to cool. 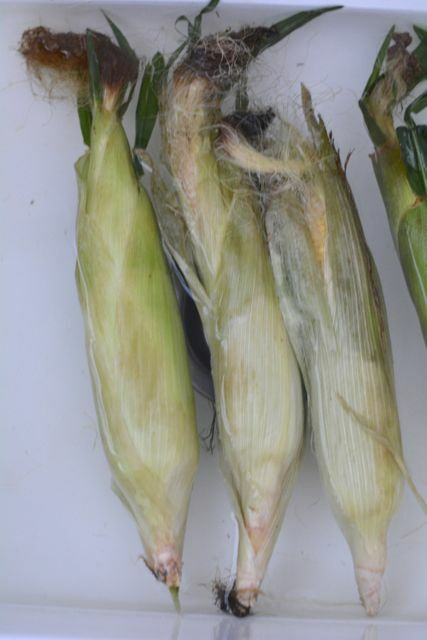 Once the husk is comfortable to touch, peel it back and butter the corn. Remove the husk completely and enjoy! When shopping, be sure to buy the freshest corn available. The sugar degradation process in corn causes it to become mealy and tasteless the longer it's been separated from its stalk. So buy local and fresh when possible! Choose corn with tassels that are brown and sticky to the touch. Black and dry tassels indicate that the corn is old. The husk should be bright and green, and slightly moist to the touch. To check for plump and even kernels, gently run your hand outside the corn’s husk.